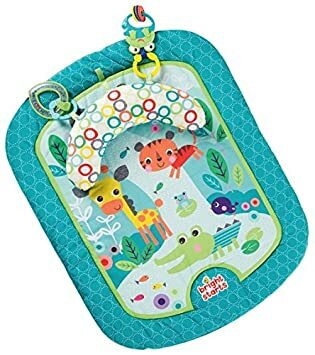 Very cute play mat at a fair price. Mine arrived in great condition, no tears, etc. 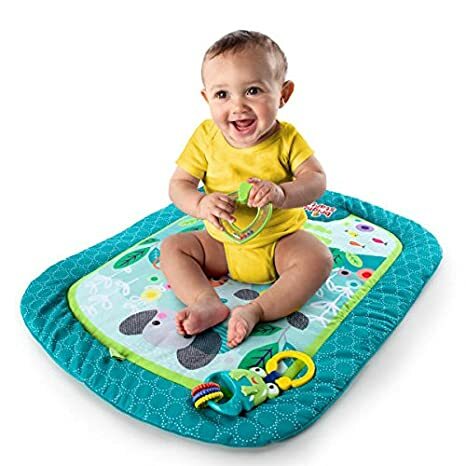 I really like that itu2019s not just a mat, it has a pillow and some rattles with it as well. 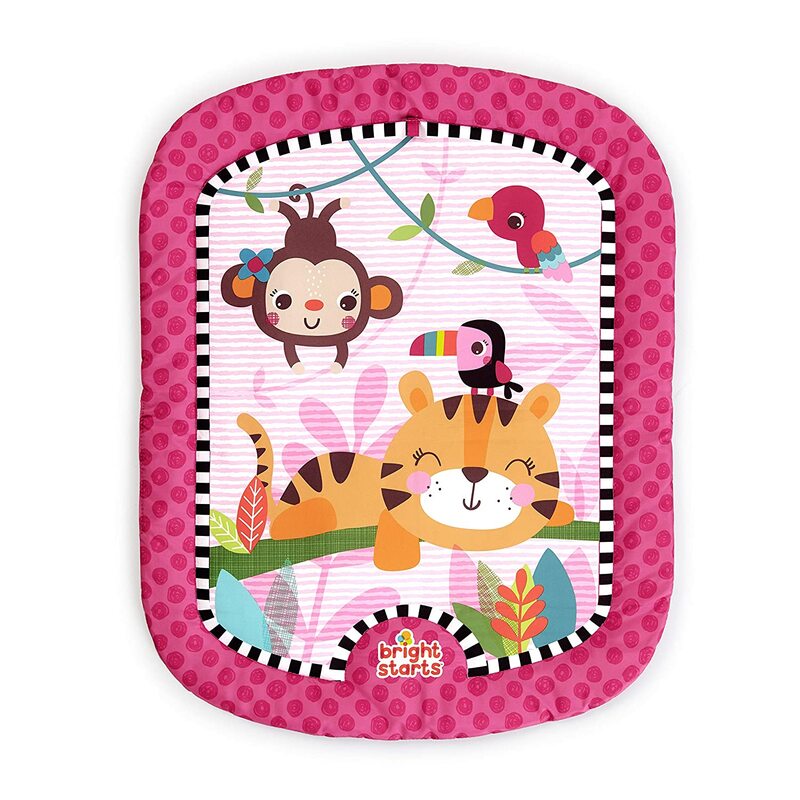 My daughter isnu2019t quite playing with toys yet, but she had a blast laying on the mat and kicking while I messed around with the rattles and her other toys. We also did a little bit of tummy time and it was nice having the support pillow to help her out. 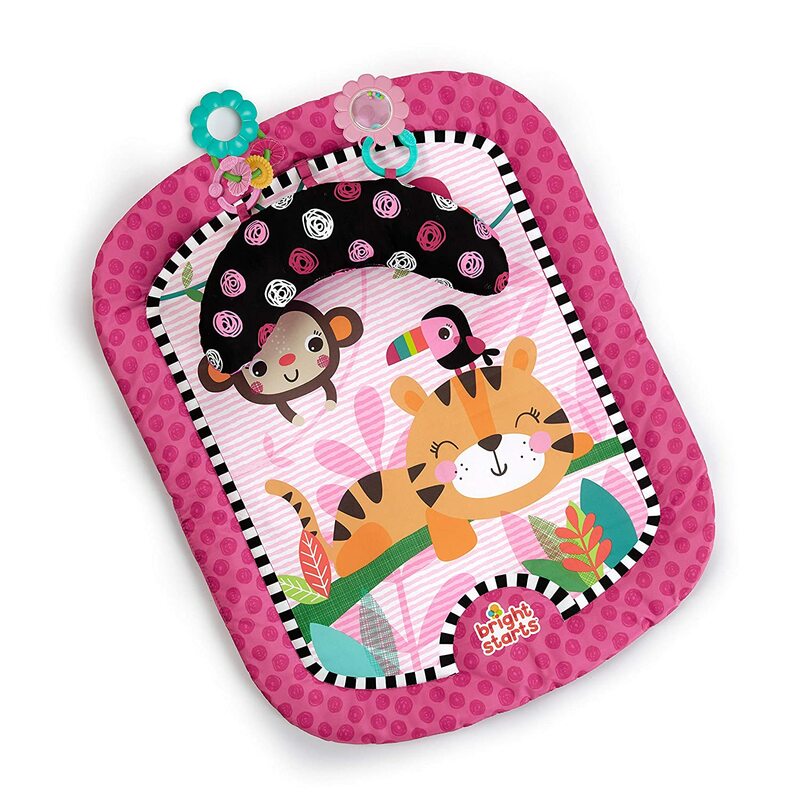 The mat came just as pictured and is really cute and seems well-made. However, it is smaller than I realized. 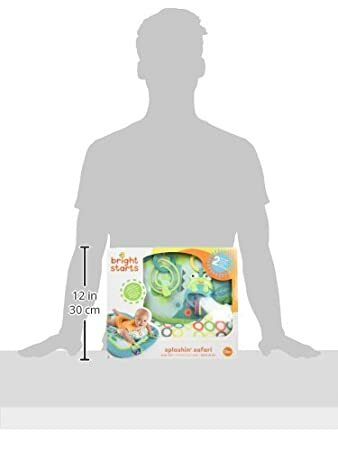 That's not really a problem for me, but be aware this is about half the size of a typical baby gym mat. 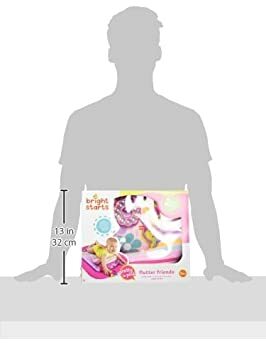 The pillow is also smaller than I imagined, and my little one doesn't really stay on it. She does like to keep it tucked under one arm while she plays with the attached toys and wiggles around, so it serves it's purpose. 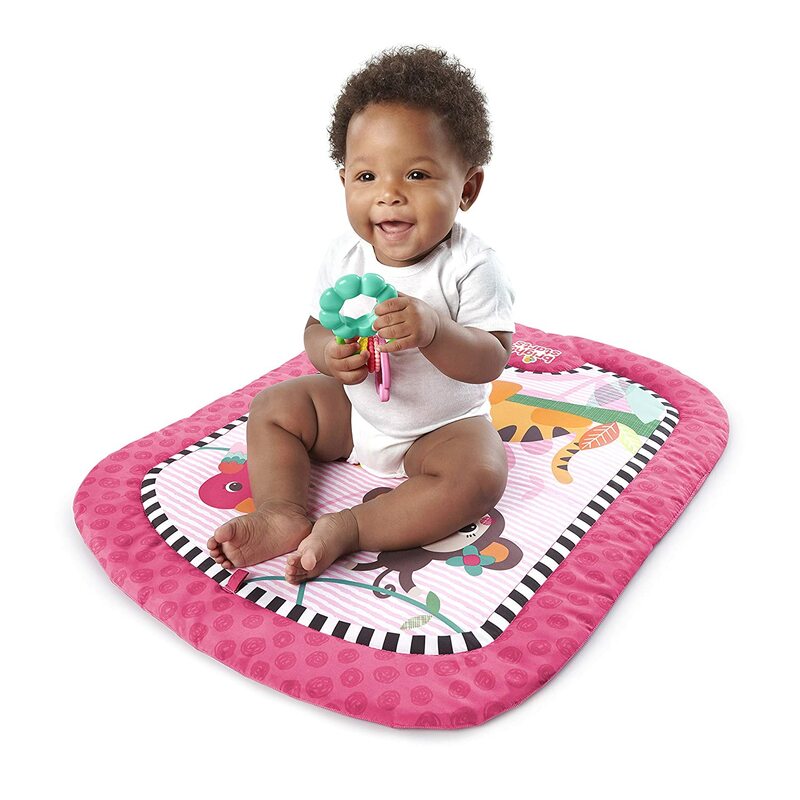 I doubt we'll use it long though, just because her other toys/mats are larger. 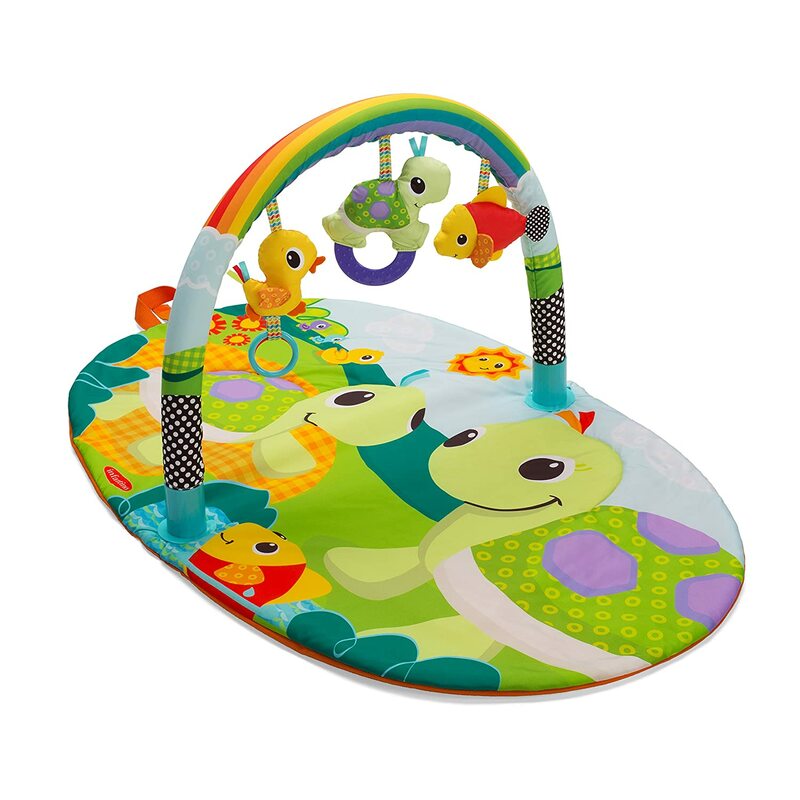 The mat is brightly colored and fun looking. The problem is is that it's made out of vinyl and it's very slippery. 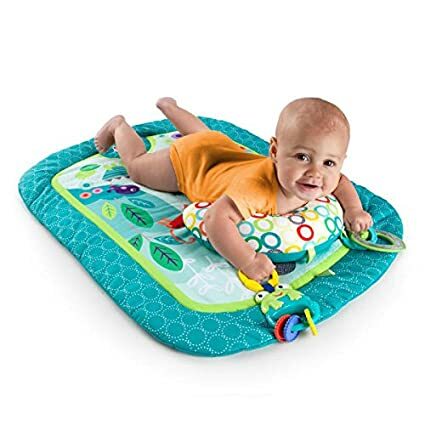 This is not an appropriate material for tummy time because the babies legs cannot find any purchase they just slide around. We have used a little pillow as a support on other surfaces however. That is helpful. 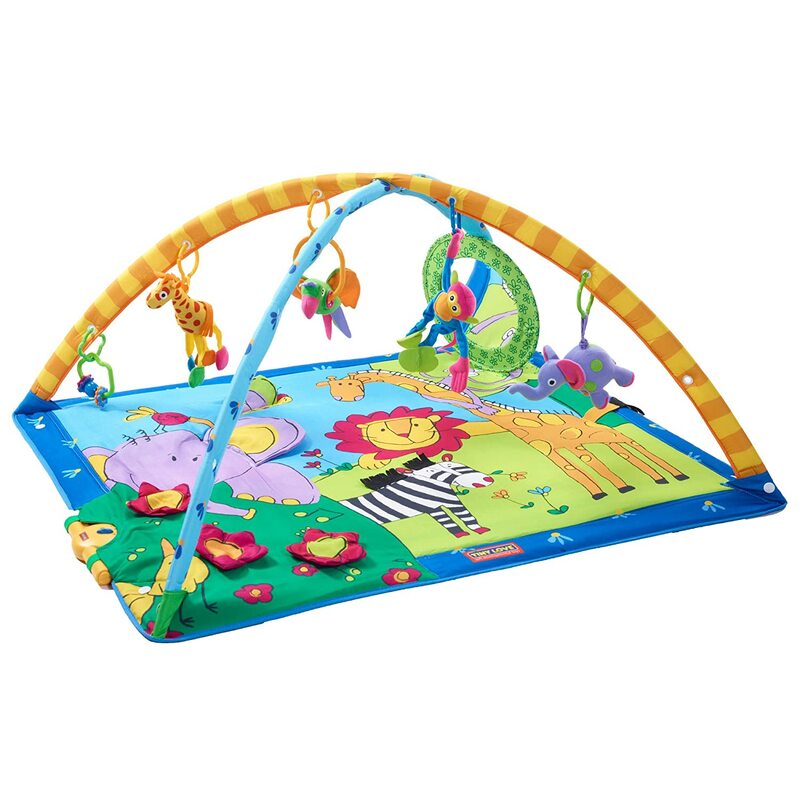 This set has some great additions for our tummy time station. 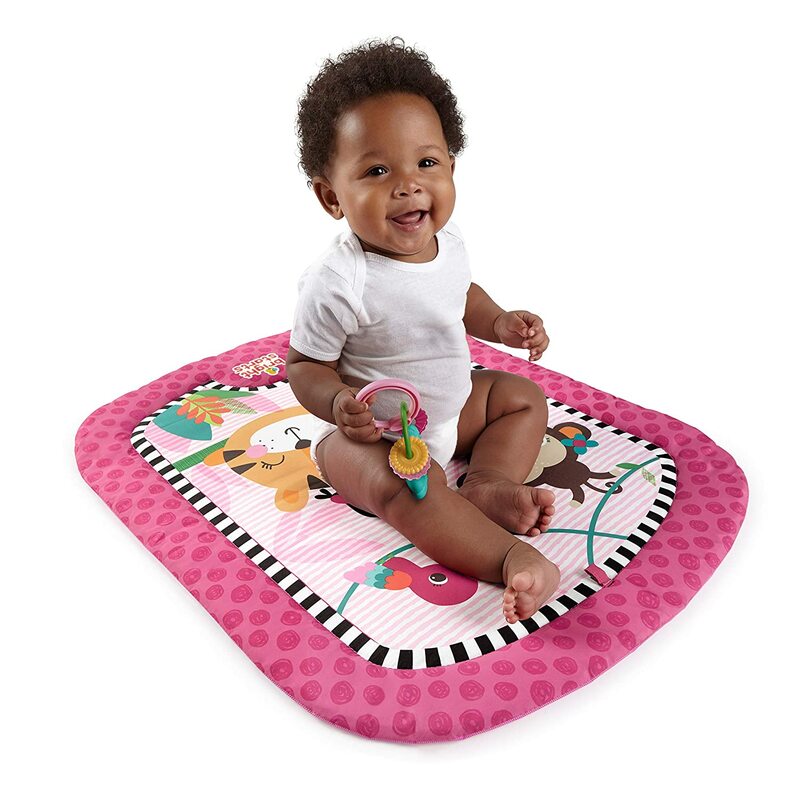 The toys are handy, can never have enough of those, and the mat is soft and cool. The pillow is a little on the small side when it comes to propping her up, but it is helpful when she isn't feeling cooperative. Thin and cheep but cute. My daughter doesn't care for it too much. It's ok for the price though if your on a budget. Has been great for our little guy as we have had to travel lots during the last month. Folds up easily. Cleans well (we have a happy spitter). 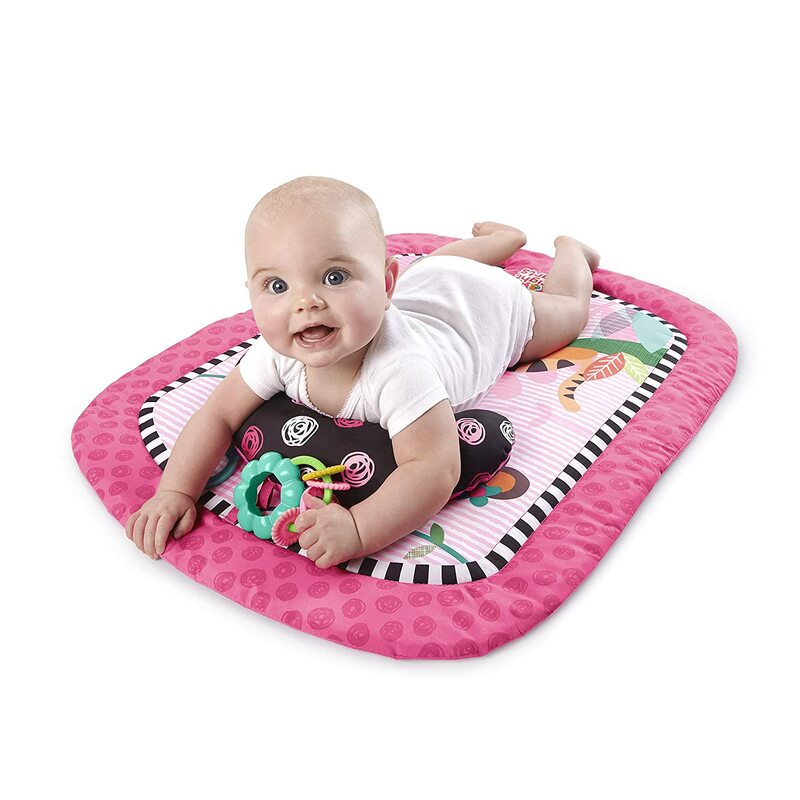 Pillow is not attached so we can utilize it with multiple play mats when we are home or at grandmas. I really wish that the prop part didn't slide around on the mat. 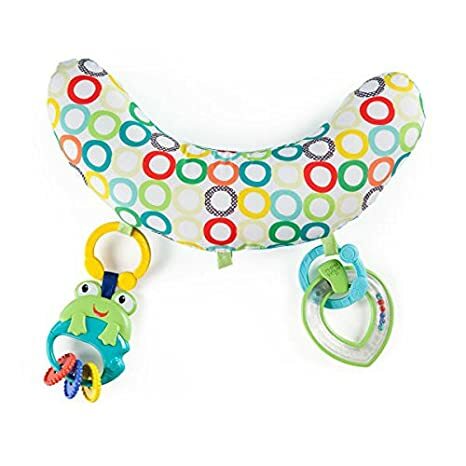 Overall, super cute and fun toys.